The A. Alfred Taubman Health Care Center opened in 1986 and houses multi-specialty clinics, diagnostic and treatment services, and offices. The outpatient clinics and administrative areas for Internal Medicine that occupy the third floor of the facility have remained essentially unchanged since 1986. 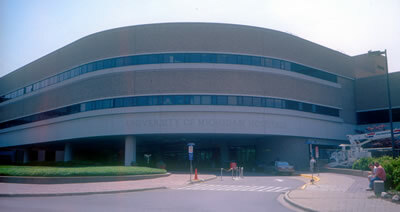 With anticipated continued growth in clinical activity, the University of Michigan Hospitals and Health Centers propose to renovate 27,500 gross square feet of space on the third floor to improve appearance, function, and use for ongoing patient care needs. This project will permit the creation of new and improved patient clinic settings in Gastroenterology, Pulmonary, Renal, Infectious Diseases, Rheumatology, Medical Genetics and General Medicine.